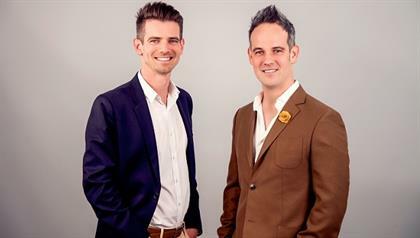 Cape Town – Founded in 2008 by brothers Sam and Rob Paddock, online education company GetSmarter has come a long way in 10 years. Having started with its first online course on Wine Evaluation, in partnership with the University of Stellenbosch, GetSmarter has since gone international. The entrepreneurs duo were among the guest presenters at the Design Indaba 2018. Here are five things to know about GetSmarter. The company offers online short courses in conjunction with several of the world’s leading universities. This includes Harvard, University of Oxford, the University of Cambridge, Massachusetts Institute of Technology (MIT) and the London School of Economics (LSE). As of 2016, GetSmarter has been operating in more than 140 countries. A new partnership with the University of California, Berkeley School of Information was recently announced. GetSmarter has reached over 60 000 students. Of its alumni, 88% have reported career advancement after using the service to complete a course. And 90.6% have received a certificate after completing a course. Courses span across different subjects including law, education, finance, art and design and project management. Sam Paddock was notably featured as one of M&G's 200 Young South Africans in 2013 and is CEO of GetSmarter. According to his blog, Sam also uses GetSmarter, and took a course at MIT on Big Data and Social Analytics. Rob Paddock is chief of strategic partnerships at GetSmarter. He is also a board member of Injini, Africa’s first EdTech incubator, and an executive director of Hubble Studios which is a creative e-learning agency in Cape Town. He also serves as an adviser to online education companies in Africa and abroad. Rob and Sam Paddock, co-founders of GetSmarter. (Picture: Supplied). * 24.com is in partnership with Design Indaba 2018.